View Using CSS Grid Today. CSS Grid opens up a world of opportunities for layout on the web, and it's ready for use right now. 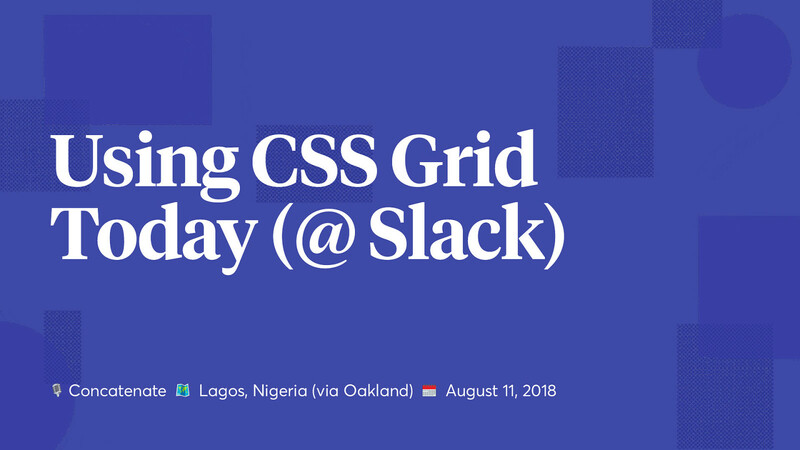 This talk will feature examples of how I've been using CSS Grid use currently in production, as well as the process and challenges I faced. Brilliant talks by @shortdiv @MinaMarkham @holtbt @TheLarkInn @ireaderinokun .